Kidsfit Cardio packages are ready to use upon unpacking the box! All equipment comes fully assembled and includes aerobic charts, muscle posters and station cards which help teach the movement and highlight the muscle groups being worked. Call 1-800-875-9145 to speak with one of our fitness advisors with any questions you may have. How do we put a price on our kids overall wellnes and their future - Go to FitnessZone.com today to order the KidsFit 661J Heart Rate Controlled Recumbent Bike and let's give our kids the advantage they deserve. 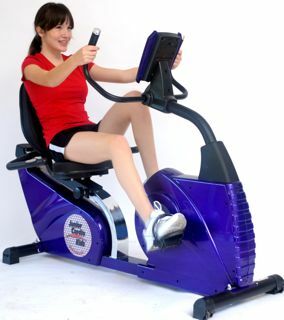 Go to FitnessZone.com to order your KidsFit 661J Heart Rate Controlled Recumbent Bike today!